Refresher is for staff who have maintained their certification after attending an Initial or Refresher training. Jen Tate is currently a Instructional Support Team Coach for CASE. While this is her first year with CASE, she is in her 11th year of work in schools. Jen started as a school social worker for 5 years in a therapeutic day school. Enjoying work with more challenging populations of students, she returned to school and became a Board Certified Behavior Analyst. 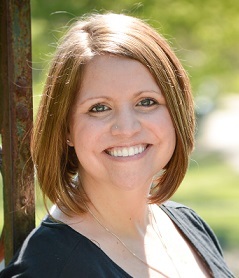 Jen has spent the last 5 years as a behavior specialist, collaborating with teams to develop interventions for challenging students in both general and special education programming and providing professional development to increase teacher and student success. Jen loves to problem solve situations and encourage educators to think outside the box. This event does not qualify for CEU credits, however you will receive a certificate of attendance after completion of the training. The PDC (Professional Development Center) is located at the back and lower level of the building at the northeast part of the property. Please use entrance 9 and this parking lot. Turn left (east) on Marilyn Street, which is just after Fullerton Ave. Turn right on the first street Orchard Lane then left on Belden Ave. The parking lot is visible from Belden. Turn right (east) on Marilyn Street, which is just after you pass the front of the building. Turn right on the first street Orchard Lane then left on Belden Ave. The parking lot is visible from Belden.